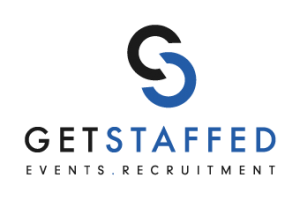 The Award Winning, Get Staffed UK! … The nominee votes are in! We made it as finalists at the Downtown in Business, Lancashire Business Awards. Get Staffed UK were nominated as the Newcomer of the Year! At this stage its over to the public to get voting for their winner, our category was filled with some impressive local businesses – all equally deserving of the award. The awards evening, took place at the beautiful Stanley House Hotel & Spa. Luckily, this is one of our weekly clients so we were able to attend the event (after an extensive beauty regime from Tom & Tom), with all of our Go-Getters waiting the event. This was a particularly good event for us… AS WE WERE ANNOUNCED THE WINNERS, THE OFFICIAL, NEWCOMER OF THE YEAR. A humbling and proud moment for our Directors, which we were able to share with our wider team. 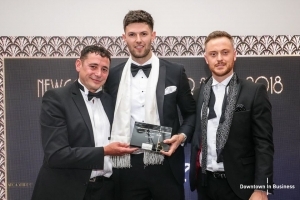 Following their recent success at Downtown in Business’ Lancashire Business Awards, Get Staffed UK are going from strength to strength, gaining further recognition for our sheer hard work and determination to improve prospects for individuals working within the hospitality industry. The company, who recently celebrated their first birthday, has employed and trained over 1500 individuals, who have had the opportunity to work closely with over 50 venues and events including major UK festivals and weekly venues, giving hospitality workers opportunities which were not available to them previously. We can’t wait to see what the future has to hold for our limitless company! http://wp.freedomofcreation.co.uk/getstaffed/wp-content/uploads/sites/116/2016/08/Get-Staffed-Lrg-300x200.png 0 0 georgie http://wp.freedomofcreation.co.uk/getstaffed/wp-content/uploads/sites/116/2016/08/Get-Staffed-Lrg-300x200.png georgie2018-07-04 14:34:342018-07-30 11:26:00The Award Winning, Get Staffed UK!